Dumiso Moyo (BSc Hons Regional and Urban Planning(UZ), Dip. Town Planning, MZIRUP) is a Chartered Town Planner (MRTPI) and a Fellow of the Higher Education Academy (FHEA). He has previously practised town planning in public and private sectors before joining Old Mutual Property Investment Corporation where he worked as Manager for Property Development. He has wide experience managing housing, retail and industrial commercial property development. 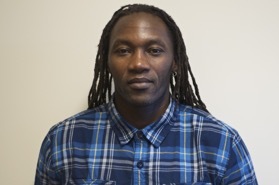 After leaving work in the private sector he did PhD studies at the University of Dundee researching on seeking explanations to the housing dilemmas in developing countries. Subsequently, he joined Aberdeen University teaching various courses in town planning in the School of Geosciences. Presently, Dumiso is a member of RTPI Partnership and Accreditation Panel and the RTPI representative in the Birmingham City University RTPI Partnership Board having previously held the similar position at Anglia Ruskin University. Dumiso is a former president of the Zimbabwe Institute of Regional and Urban Planners as well as former Vice president of the Commonwealth Association of Planners. He is currently the Academic Lead (Urban Planning). Daniel Gilbert has a passionate interest in Africa, and in mining. 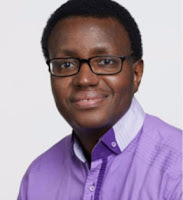 His African research and project development work is focussed on the Southern African Development Community (SADC) part of the continent, in particular the nations of: Mozambique; Malawi; Tanzania; Zambia and Zimbabwe. He has designed and managed cutting-edge projects to support mining-focused inclusive economic development for the World Bank and the UK’s Department for International Development worldwide. He has comprehensive experience as a consultant for major natural resources projects within jurisdictions including in SADC countries and across Asia (e.g. Afghanistan, Mongolia, the Philippines, and Tajikistan). 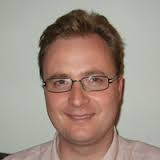 He holds a Master’s Degree from the University of Edinburgh and a Master of Science Degree (MSc) from the University of Dundee’s Centre for Energy, Petroleum and Mineral Law and Policy, and has provided support and advice to DARN from its inaugural meeting onwards. Daniel can be contacted at miningpolicy@gmail.com. Dr. Nicole Devarenne is a lecturer in the School of Humanities at the University of Dundee. She teaches modules on African literature and film, and is currently supervising a PhD on representations of Africa and Africans in transmedia. She has published articles in Research in African Literatures, Journal of Southern African Studies and The Journal of Commonwealth Literature. She was a co-contributor to the conceptual development of DARN at the founding meeting in 2015. Nicole is open for a wider research collaboration on African Literature from Africa and beyond. Dr Vincent Onyango is a lecturer in Town and Regional Planning and Degree Programme Director for Environmental Sustainability. His academic background is in Environmental Resources Management, specialising in environmental impact assessment. He has more than 10 years’ experience in environmental resources management, in particular, environmental planning, environmental governance, impact assessment, sustainability and sensitivity analysis as a tool for testing policy scenarios. His research interests are in the processes, tools (EIA, SEA, SA, LCA) and methods of effective integration of environmental consideration into planning and decision-making. Vincent has undertaken considerable research in impact assessments.